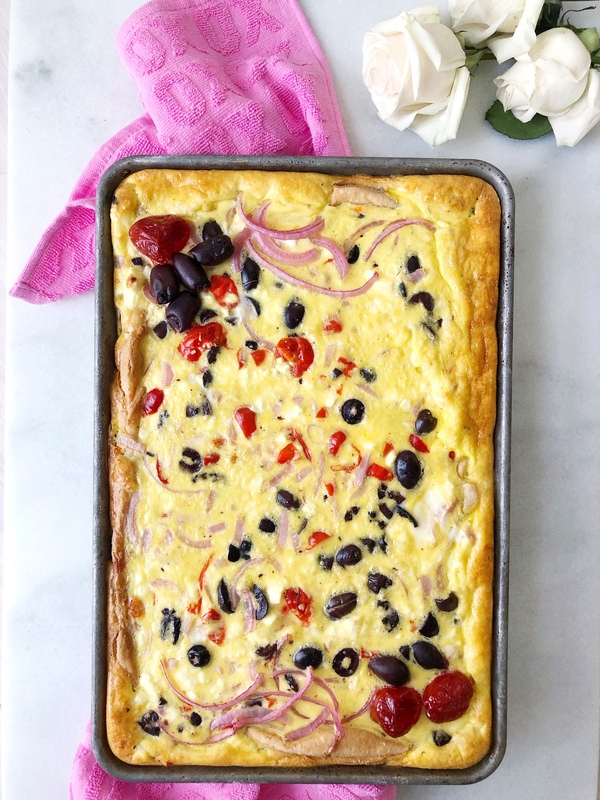 I have to be honest with you about this sheet pan quiche recipe – it was born out of necessity; a necessity to not cut pie slices because I’m just awful at it. I almost never get even slices and it just drives me nuts! But this experiment had a happy result – I love the egg-to-crust ratio of this quiche! 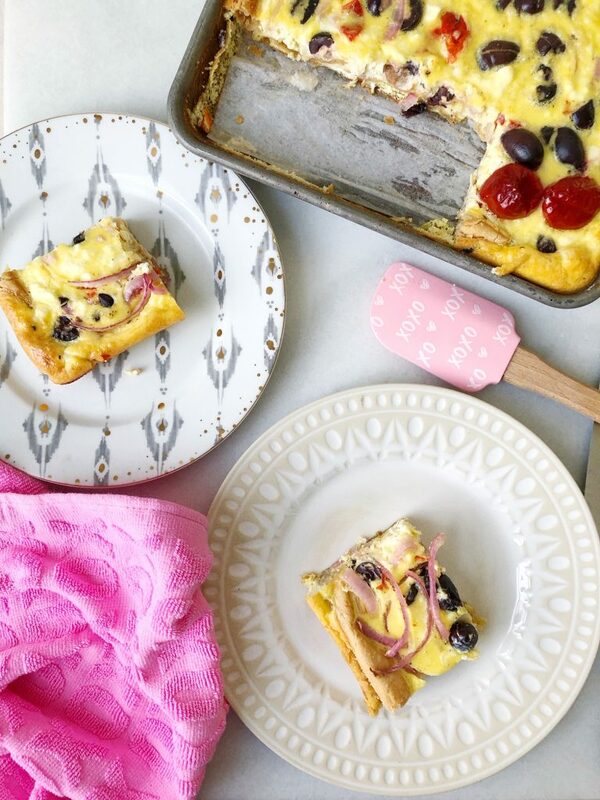 This lovely little quiche made it straight onto this year’s Galentine’s Day brunch menu! I think this flavor combo might just be my favorite, but you know what I’m going to say here, right? You-do-you-boo! You can put anything in a quiche. One of the many reasons I love it – you don’t really need a recipe. It’s a non-recipe-recipe!